CHASTELLAIN, PIERRE, called Arioo by the Indians, priest, Jesuit, missionary in the Huron country until 1650, author of religious writings; b. 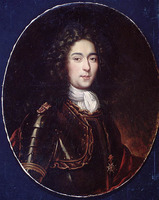 25 June 1606 at Senlis (France); d. 15 Aug. 1684 at Quebec. While still very young he stood out by virtue of his modesty and piety. 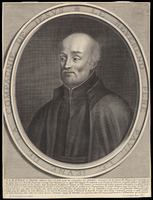 Descended from an important family in Senlis, he had difficulty in obtaining his father’s permission to become a Jesuit. He entered the noviciate in Paris 3 Sept. 1624. After taking his first vows in September 1626 he was sent to the famous Collège de Clermont (Paris), where he was to spend ten years. At first a student in philosophy (1626–29), he remained there as a master and teacher (1629–32). At the same time he was a “dormitory scholastic,” that is, a house-master in charge of the 300 boarders who were enrolled in this institution. He was still there for his theological studies, which he did with Jogues and Garnier, having the well-known Father Denis Pétau as his teacher. After a few months of the third year, he took the four vows of the professed of the Society of Jesus. Before his departure from France in 1636, he was commissioned by Mme de Combalet, Richelieu’s niece, the future Duchesse d’Aiguillon, to try to influence the Religious Hospitallers of Dieppe and Father Paul Le Jeune in favour of the founding of a hospital in New France. On 8 April 1636 he left Dieppe, in company with Father Garnier and Governor Huault de Montmagny. Landing at Quebec 11 June, he baptized his first Indian. By 1 July he was sailing to Trois-Rivières with Garnier in order “to wait for the canoes of the Hurons” there. Father Le Jeune went to join them on 21 July. On 12 August Chastellain reached Ihonatiria (Saint-Joseph I), where on 24 September he was stricken with purpura. 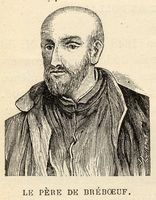 He spent two years (1636–38) at Ihonatiria with Isaac Jogues and Pierre Pijart, then a few months at Ossossanë (La Conception), before joining Jean de Brébeuf at Teanaostaiaë (Saint-Joseph II). From November 1639 on he was stationed permanently at the new central residence of Sainte-Marie-des-Hurons, with the task of “maintaining peace and good order.” His knowledge of the Huron language, the pleasantness of his character, and his skill in directing consciences caused him to be designated to look after hospitality for passing Indians and the spiritual needs of all, including the missionaries. As an adviser, he approved the keeping on of the donnés (1643), the moving of the residence to the Île Saint-Joseph (Christian Island), and the departure of the Hurons for Quebec (1649 and 1650). Throughout the period from 1650 to 1684 he was spiritual prefect and confessor of the Jesuits, admonisher, and adviser. His name appears in various notarial acts of the period and as a preacher on special occasions. For 32 years he was confessor and spiritual director of the Religious Hospitallers of Quebec and confessor extraordinary of the Ursulines, spiritual director to Catherine de Saint-Augustin [see Simon], Mme d’Ailleboust [see Boullongne], Governor Rémy de Courcelle, and Jean Bourdon, attorney-general, whose will he signed as a witness in 1657 and 1664. After 60 years of religious life, he died 15 Aug. 1684. During his stay in the Huron country he had written in Latin a work entitled Affectus amantis Jesum seu Exercitium amoris erga Dominum Jesum per tota hebdomada, the first Canadian spiritual treatise. ACSM, MSS 124b, 310. ASQ, Carton Plante, 73, 86. Pierre Chastellain, Affectus amantis Jesum seu Exercitium amoris erga Dominum Jesus per tota hebdomada (Paris, 1648). 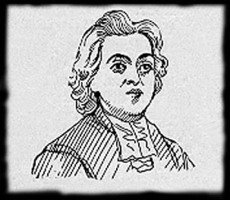 JR (Thwaites), IX, 244–50; XIII, 126–28; XIX, 184–206. Juchereau, Annales (Jamet). BRH, II (1896), 21, 41, 43; IX (1903), 81. Jésuites de la N.-F. (Roustang). Rochemonteix, Les Jésuites et la N.-F-. au XVIIe siècle, II, 225, 292–93. Georges-Émile Giguère, “CHASTELLAIN, PIERRE,” in Dictionary of Canadian Biography, vol. 1, University of Toronto/Université Laval, 2003–, accessed April 26, 2019, http://www.biographi.ca/en/bio/chastellain_pierre_1E.html.